Why does everything have to be yellow/green or red/green? I'm red/green colorblind, goddamn it! Sometimes that blue text when colorblind support is activated is REALLY sore on my eyes. Just follow BF3's way of doing it, don't make text neon green or red, just a solid color all around. Could you point me to a good example? Not sure what you mean by "solid" color. Yeah no glow and more standout colors. Thanks, guys - good to know, I'll keep it in mind. Sounds like I'll have to look into this more in-depth at some point. One thing that others have done is that shapes ARE differentiable no matter what your color-blindness type is. So that's a good way to differentiate stuff instead of colors. please also take note that if one is red color blind then the actual color RED will likely appear to be GREEN to the viewer. (i have a color blind friend and also the pic shows that) that is in turn also why most color blind UI's should not incorporate the color red next to a color green. Also the other common color blindness is blue and yellow. where blue looks green and yellow looks red. it should also be said that most people who are actually color blind are Red Green color blind. most primates and mammals can not see red at all or if they can its faint due to them not evolving the ability to see it. A rainbow of colors as viewed by a person with no color vision deficiencies. The same rainbow as viewed by a person with protanopia. The same rainbow as viewed by a person with deuteranopia. The same rainbow as viewed by a person with tritanopia. aside from that im looking forward for the next release. You won't be able to refit fighters and bombers at all. They're designed/balanced around having a particular set of weapons and would be very broken if you could change it. Which ones you pick for your fleet -out of quite a few that are available- is the choice here, not how they're outfitted. 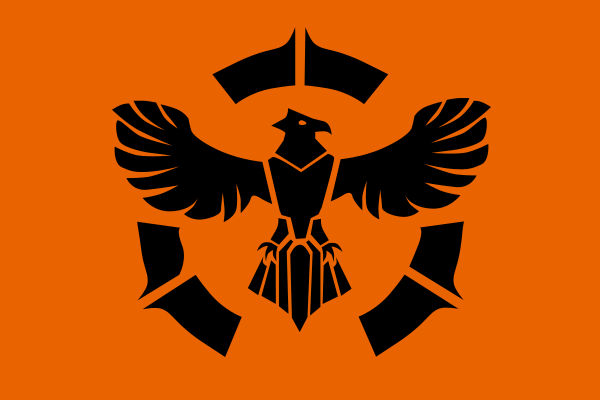 New blog post, courtesy of David: Designing Faction Icons. HURAH! I'll forge my responce after reading it. One of those mugs on my "bridge" (okay, my desk) might make me look like I actually know what the hell I'm doing. If not, then at least I have something to throw at someone who tells me otherwise as I scream at them to fire despite the flux levels that have been building.